While trade sanctions may have ended imports of Russian-made Kalashnikov firearms in 2014, it spawned a spin-off corporation that now has a modern version of the iconic AK that will soon be available to American consumers. 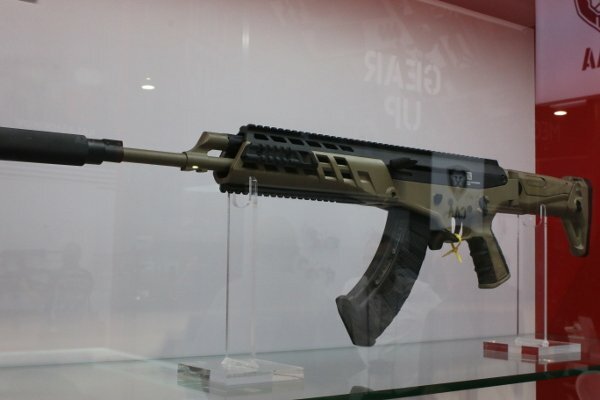 The new AK Alpha, expected to hit the market later this year, is the latest offering from Kalashnikov USA, which rebranded itself two years ago as a way to continue doing business in the United States despite trade sanctions. 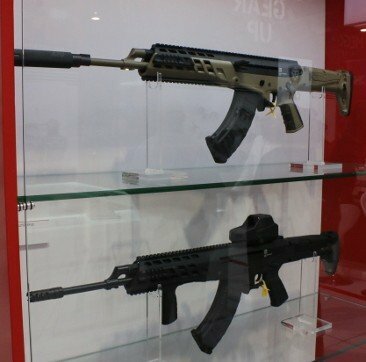 In addition to the Alpha they also unveiled a shortened 9mm version called the KR-9 on the SHOW Show 2016 trade floor. A representative for the company said the American corporation is inspired by the classic brand and it’s Russian in name only, but beyond that it’s an American gun maker, designed and produced in the United States. The new AK has the same basic internal mechanisms and reliability accustomed with the old AK-47 but it now has a modern external shell. It has a folding and retractable stock, adjustable cheek support, a dust cover and an exceptionally long rail for mounting accessories. Despite its updated design this gun still handles the same mag cartridges, the 7.62×39, so all the aftermarket surplus feeders will work. It will also debut in two versions with differing barrel lenghts, the AKL with a 16.338″ barrel and the AKS with a 12.362″ barrel.